More than 130,000 people from 82 countries will be in San Francisco from October 4-7 taking in all that Dreamforce has to offer. Let me pause there for a second and let you catch your breath. A further 200,000 people will be attending the event online. This Dreamforce, like all previous ones, will be choc-a-bloc with product announcements, a bucketload of app and consulting partners exhibiting at the expo and tons of networking. At any point in time during regular hours, there will be several sessions going on in parallel, and all of them sound exciting. With so much going on, it is hard to figure out how to plan your agenda. 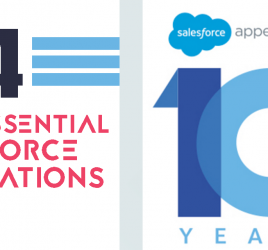 So here are our top 10 recommendations for you at Dreamforce. Cool off after a hectic day(s) at the AppBash. Hosted by Salesforce App providers and Salesforce partners, these parties can get crazy. So save some of that energy for the evenings on Oct 3rd and 4th. Ideally this should have been #1. But just the fact that we are putting this so low down the order goes to show how awesome DF16 is going to be. Fully loaded. Packing a punch. Something for everyone. We have run out of cliches, but the bottomline is that this year is going to be awesome-r than ever before. Close to 400 exhibitors and sponsors will be on the floor selling their Salesforce-related ware. A microcosm of the massive Salesforce ecosystem, walking the corridors at this expo should give you a high-level view of the trends and direction of Salesforce. DF16 will host 1,600 breakout sessions divided into various products, industries and role types. Use the agenda builder to figure out the right combination of sessions that will give you most value. On that note, did you know that companies sponsoring attendees to Dreamforce seeing an average of 25% increase in topline soon after? Want to know the next big thing in the Salesforce ecosystem? Make sure you attend Dreampitch where startups that have built products on the Salesforce App Cloud will be pitching for $150,000 from Salesforce Ventures and other investors including Mark Cuban and Will.i.am. Building on the recent announcement that Wave Analytics is now available for B2B Marketing (read Pardot), Salesforce has a few sessions lined up for B2B folks that are keen to get better reporting on their marketing activities. It has been some time in the making. 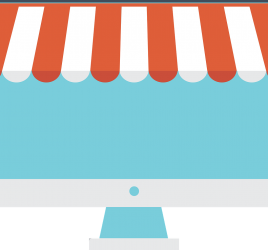 Marketing Cloud has stumbled along trying to integrate with Salesforce as well as the rest of the products. But now it is almost there. Salesforce has a renewed focus on Marketing Cloud and that is evident from the number of sessions they are conducting for Marketing Cloud consultants and developers. Artificial Intelligence is no longer reserved for Spielberg movies. This Dreamforce Salesforce promises to democratize AI for everyone and we are curious to know how. Obviously they have made big moves in predictive intelligence in the recent past, but it has been largely inaccessible to most Salesforce customers. Let’s see how things change this DF16. Yes, Salesforce bought Demandware. But we haven’t heard much about it after that. From the number of sessions around Commerce Cloud, be sure to expect a lot of big announcements and gear up for this new offering that Salesforce has added to its awesome portfolio. U2 will be headlining the event on October 5th. Beat that Oracle. If their gig last year is anything to go by, the band is still one of the best live performances out there. Going to Dreamforce and want to meet an amazing Salesforce Partner? Let us know, we’d love to meet up. How Much Should You Spend On Marketing Technology? © COPYRIGHT THINKREPUBLIC CONSULTING INC.